release is the backbox ,particularly with the speaker grill and DMD piece. 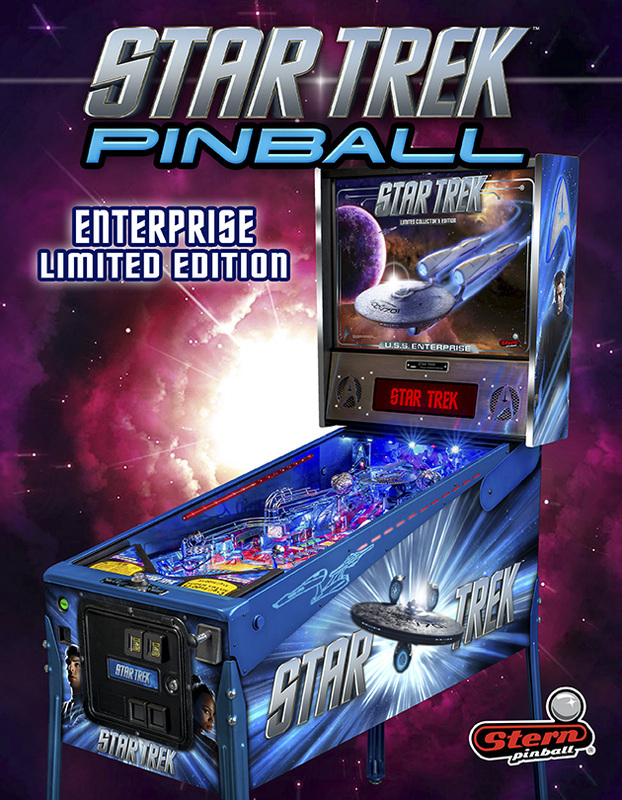 On September 10th 2013 ,Stern Pinball announced that their next pinball machine was going to be Star Trek. On September 12 Stern officially announced the sale of the game to the public with the game specific details and pricing. They also have published pictures of the three different models and playfields, which you can check out below. 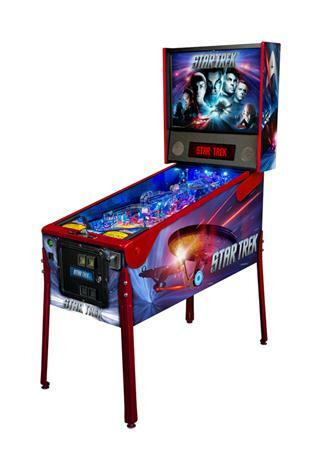 In case you missed news on this one up until now, this is a design by Steve Ritchie, who has prior experience in making the "Star Trek ,The Next Generation" pinball machine from Williams Pinball back in 1993. 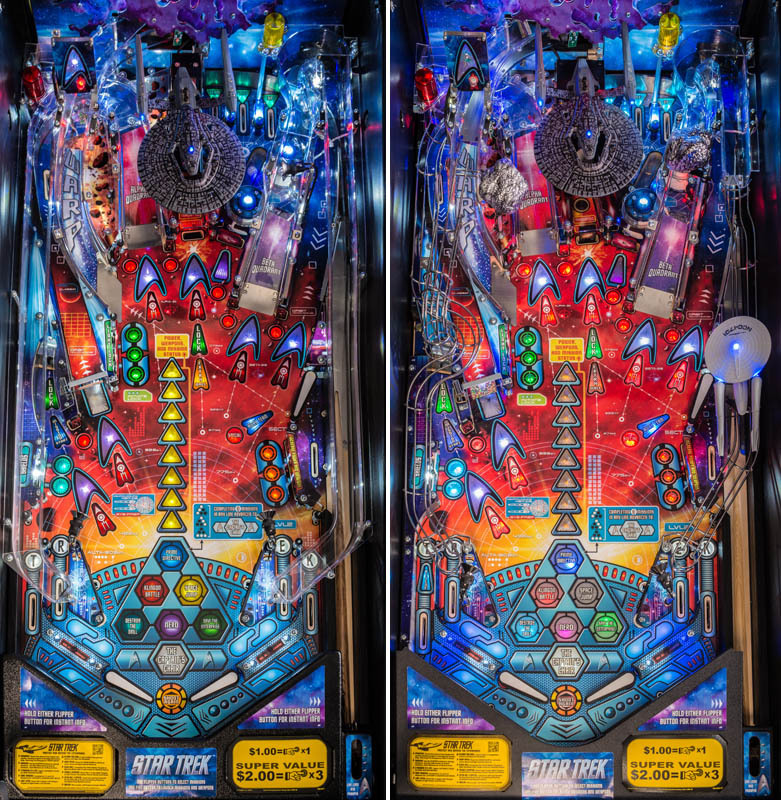 One notable announcement about this pin is that it is Stern’s “first all-LED model”, using multicolored LEDs. 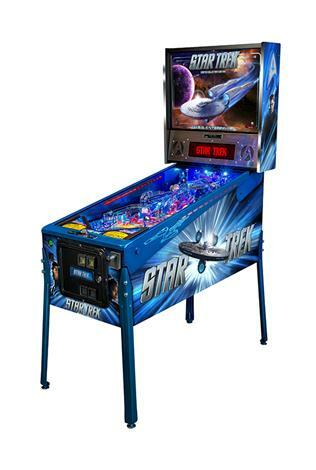 Besides from the different side art on the cabinet, this model also has a more detailed playfield and game features. Features include a Enterprise toy above the ball launcher lane, asteroid toys above some of the ramps and slightly different artwork near the bottom on the outside ramps and a ball-saving kickback function. 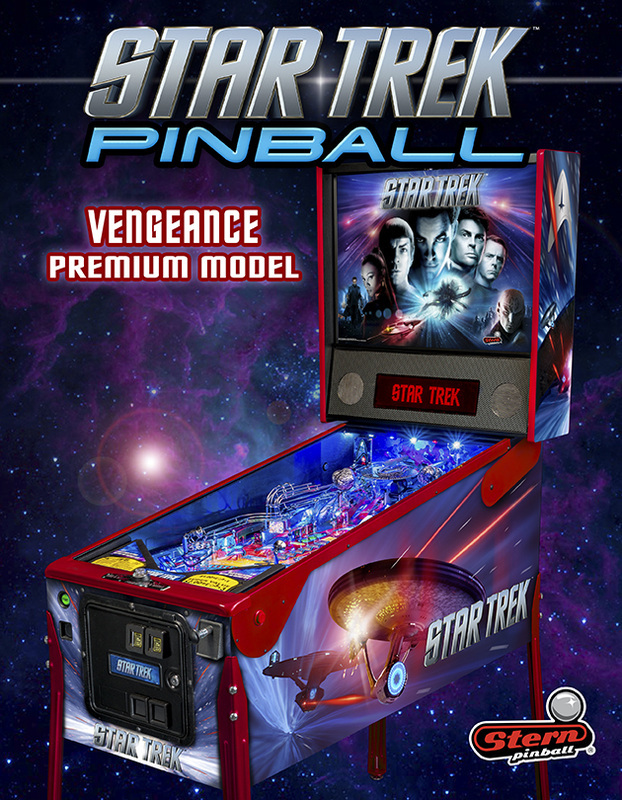 The Vengeance also has a “crash’ effect, there are more detailed LED lighting effects and it also has a Animated Playfield Laser Starfield Projector. Also , instead of the plastic ramps like the Pro models have ,the Premium models have the classic wire ramps . 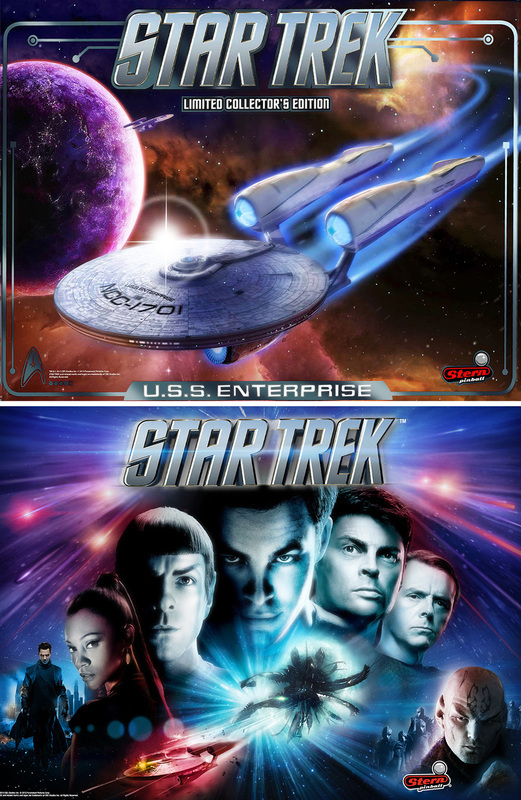 Limited Edition ‘Enterprise’ Model – This is similar to the Premium model except for a few extra touches. 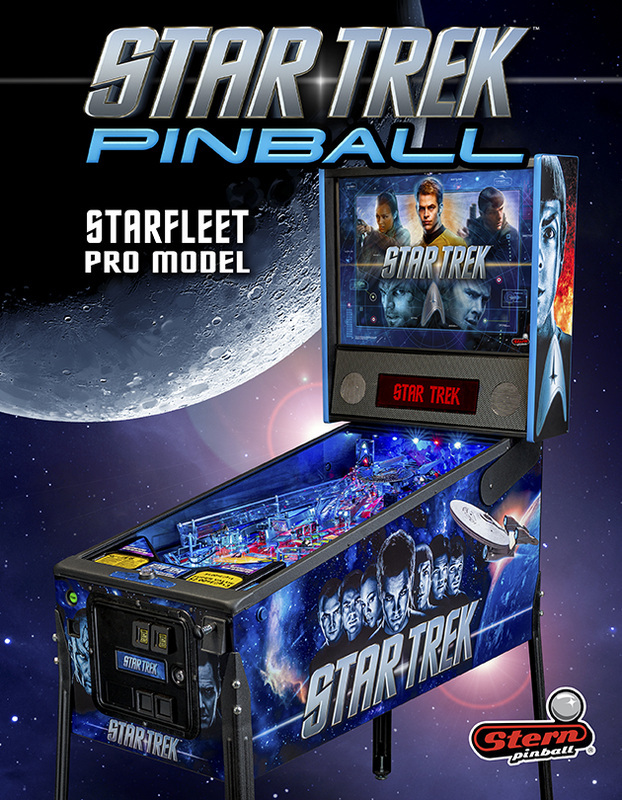 The playfield is the same but it has a more detailed cabinet, a shaker motor, a red backlit laser cut “armor” on the sides, a backlit Starfleet logo on the back of the backbox and a signature of Steve Ritchie under the hard coat on the playfield.